SE 7700 with its wavelength range of 380nm ~ 780nm in reflection and transmission sample can be measured by the 5nm interval output. It is a high-precision spectral color difference meter. 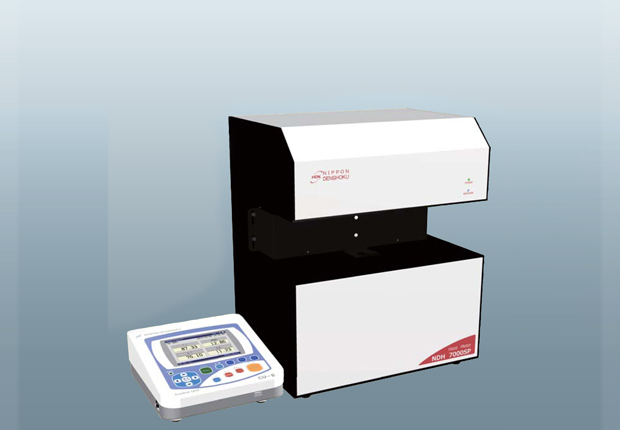 It has capability of measuring various kind of sample with various shapes such as solid, liquid, powder, pellet, film with offering a variety of optional accessories. 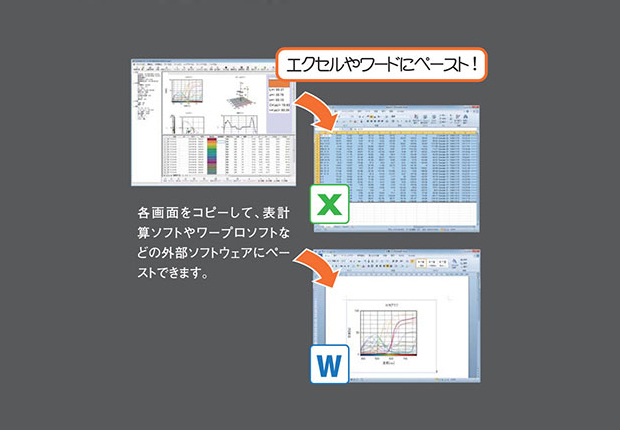 See colors at a glance by the large color LCD, spectral graph of standard and sample can be shown in the same graph. 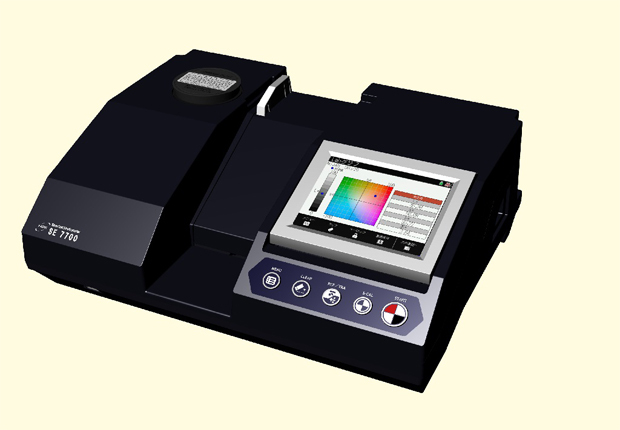 Since the operation is also very simple, this all-in-one spectrophotometer is very ideal for color management in many industries, such as food, painting, ink, resin, chemical products, pharmaceutical and cement. 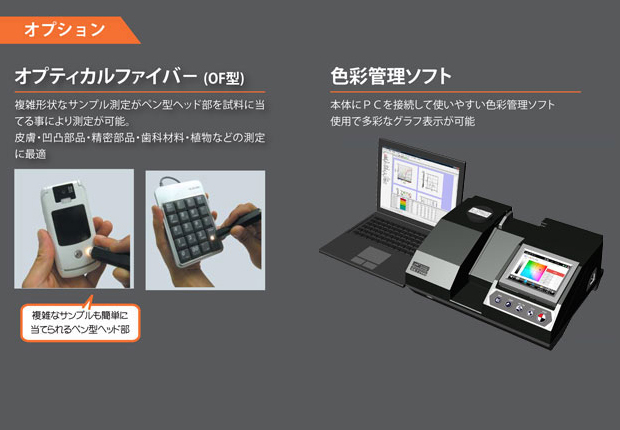 In addition, to make your life more easy, save / read out the measurement data is possible. SE 7700 + OF is a spectral color difference meter of optical fiber system. This is a powerful measurement capabilities of the SE 7700 which is intact, equipped with an optical fiber of the pen-type head to the optical part. Such as skin, irregular shape, precision parts and dental materials and plant material, usually can also be easily measured, even it will make your measurement job is easy for difficult / complex shapes or large sample. It should be noted that, since the optical fiber is removable, it is also possible to measure in the SE 7700 standalone. 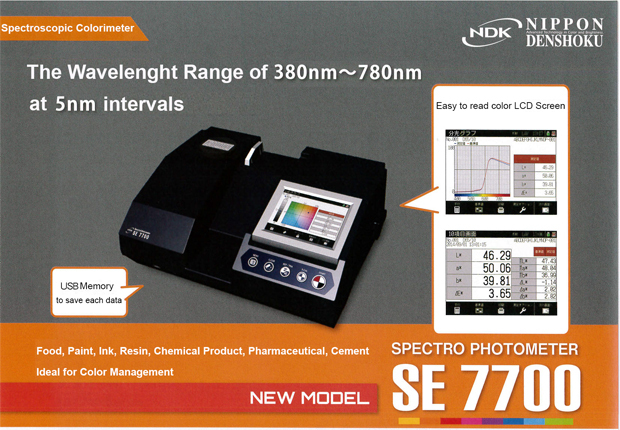 Spectral color difference meter equipped with an optical fiber of the pen-type head to the optical part. Such as skin, irregular shape, precision parts and dental materials, also corresponds to the complex shapes and a large sample. Since the foot switch is standard equipment, even though both hands can be easily measured.